Other Vertex Standard radio models in the mid & high-tiers will be discontinued. Many have already been phased out, such as the VX-820 & VX-920 series, but the following models will also be discontinued, effective Jan. 1, 2018: EVX-530 series, EVX-5300 & EVX-5400 mobile radios, and all repeaters. Consolidating the brands under 1 name will give an overall better experience to both Motorola Solutions and Vertex Standard customers. It gives Motorola a larger portfolio so they can deliver more options to customers in both technology and pricing; this helps customers get a better solution for their unique needs. The radio models being carried over to Motorola will be exactly the same as the original versions, they will simply have a different manufacturer stamped on the front of the radio, and all radios being canceled will have Motorola direct replacement options with similar pricing - so customers can continue to get high-quality, competitively priced products that will work seamlessly with their existing Vertex Standard branded radios. How much longer after Jan. 1 will I be able to purchase Vertex brand products? Vertex branded products will only be available as long as current stock remains, so if you are interested in purchasing any of the old Vertex radios or accessories, you should act quickly, as none will be manufactured by Vertex Standard after January 1st. Will the new Motorola models have different features? No, the Motorola versions of the original Vertex radios will be built with the same look and features that our customers are used to. The only difference will be the Motorola logo on the radio. Will the new Motorola models cost more? That information has not been made available yet, but we expect to know for sure in the coming weeks. However, we believe Motorola will continue to offer the lower pricing that made Vertex such a popular choice for consumers. 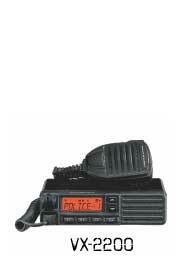 Will there be Motorola radios that will work with my Vertex radios? Absolutely! 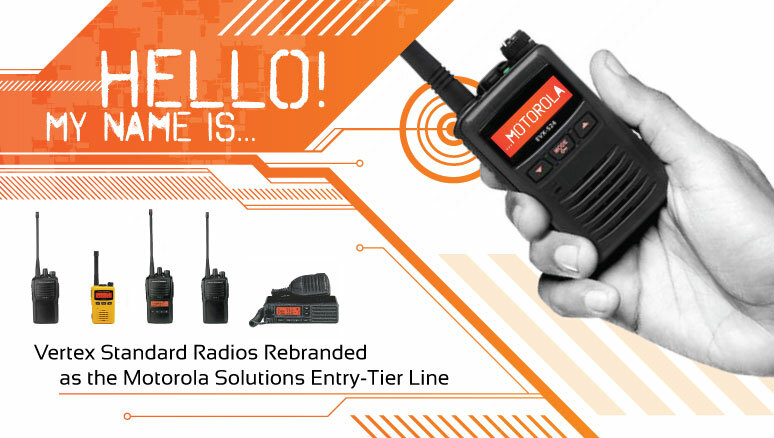 Motorola has a great line of Commercial Two-Way Radios with all different feature sets and pricing, so even if your Vertex model has been discontinued due to this re-branding, you have many exciting new options for a compatible Motorola radio. Will Motorola honor the Vertex 3-Year Warranty on my radio? Yes. Motorola will continue to honor the 3-Year Vertex Standard Manufacturer’s warranty on any previously purchased Vertex Radios and Accessories. Will I be able to get my Vertex radios repaired if they break? Of course you can! Repair parts will continue to be manufactured and be readily available for the next 5 years; that way you won’t lose your radio investment. Will there be compatible batteries and accessories available for my existing Vertex radios? 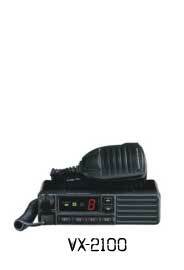 Motorola will continue the production of accessories for the radios models that are being brought over from Vertex. They will have a different part number, but they will be the same high-quality products our customers are accustomed to. We are very excited about the joining of these two great brands, and the added benefits it will bring to our customers. If you have any questions about these upcoming changes, just give us a call at 1-800-396-1911. We are glad to answer all of your questions, and help in any way possible.